Our VOID polyester asset labels are asset labels that are designed to show evidence of tampering if removal of the label is attempted. These labels leave the word VOID behind in the label so it cannot be replaced or reused. 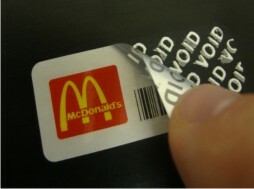 This type of label can also be overlaminated with a clear film to provide total print protection. 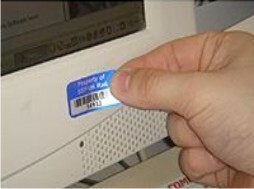 We can include barcodes and serial numbers, and company logo's can also be included, usually at no extra cost.